UFCW 648 has partnered with Californians for Safety & Justice, San Francisco Labor Council, San Francisco Immigrant Justice Center and the San Francisco Hiring Hall, to put together a clinic to help Union and community members begin the process to restore their rights. Prop. 47 is the largest opportunity in U.S. history for people to change past felony convictions on their records. As many as 1 million Californians may be eligible. To begin the process please see attached flyer and event information. 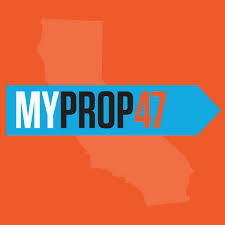 If you or a family member is interested in attending the Prop 47 record change clinic in San Francisco. Please join us. If you have any questions please contact Union Representative/Organizer, Jen Garcia at 415-757-6021.